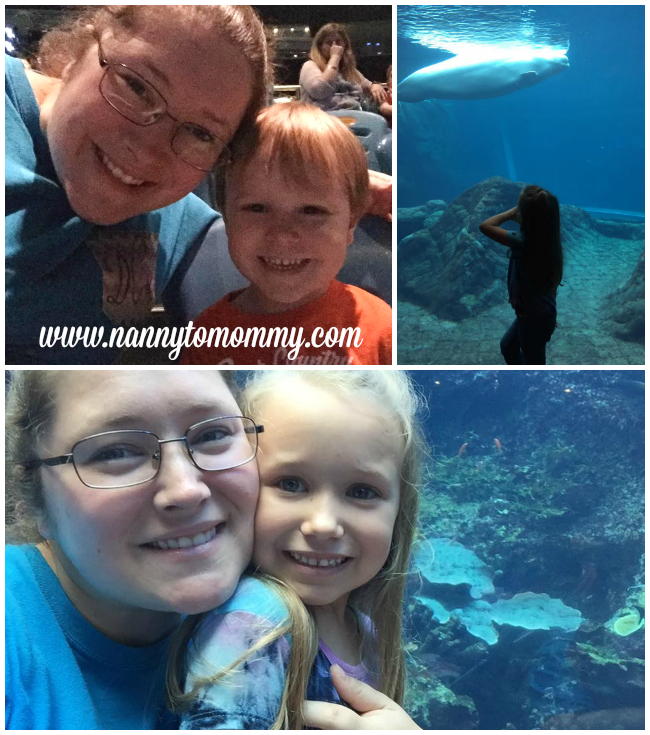 A little while back my husband and I took the kiddos to the Georgia Aquarium. It was my son's first time going. Watching their faces as they were looking at everything was such a beautiful experience. 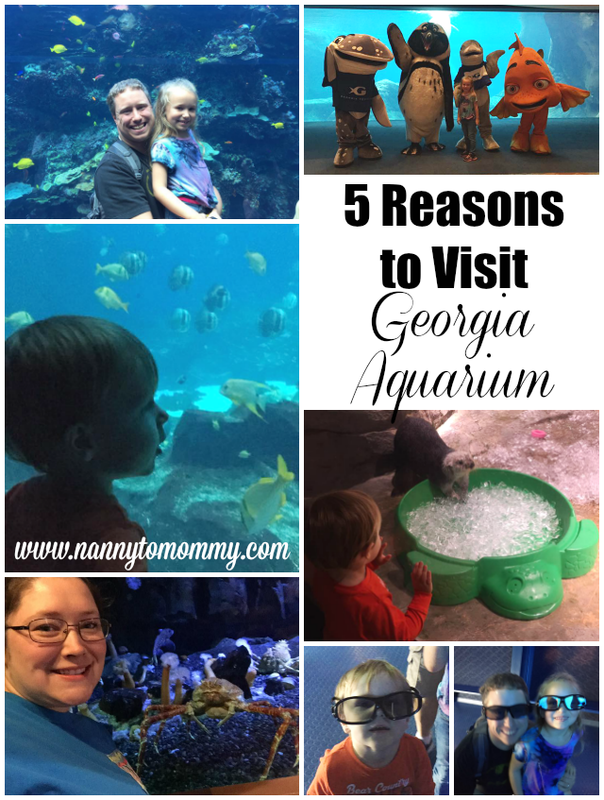 So I have made a list of our top reasons to visit the Georgia Aquarium. 1. Aquanaut Adventures. It's a unique experience that let's the little ones to learn about aquatic life during their expedition through a variety of immersive environments. This one didn't open until 2 p.m., but it was so much fun and a great way to end the day. This was amazing because we got to see trainers work with the belugas up close. 2. Dolphin Show. I had never seen a dolphin show before. It was wonderful! It is included in the price of admission which we were not expecting. If you sit in the first couple of rows, you will get soaked! It was amazing watching the trainers in action. If you walk up before a show starts, there is a viewing tank and you can see the dolphins up close. 3. Food Court. There is additional seating on the side. And this is where we got to meet characters and have a close up look at the belugas. The belugas were coming so close and my children were completely enamored by them. 4. Touch and Feel. My daughter loved participating and getting to touch some of the animals. She is a little scaredy-cat normally so I was worried she might not try it. My son loved watching her even if he was too shy to try it himself. They give the animals breaks so they aren't touched the entire day. 5. Educational. This was such a fun way to learn about all these different animals. It was a very hands on experience which their is proven science that this helps children learn better. We learned about endangered species and how we can help change to improve their environments. We had so much fun in their huge viewing room where we got to watch the Whale Shark being fed. 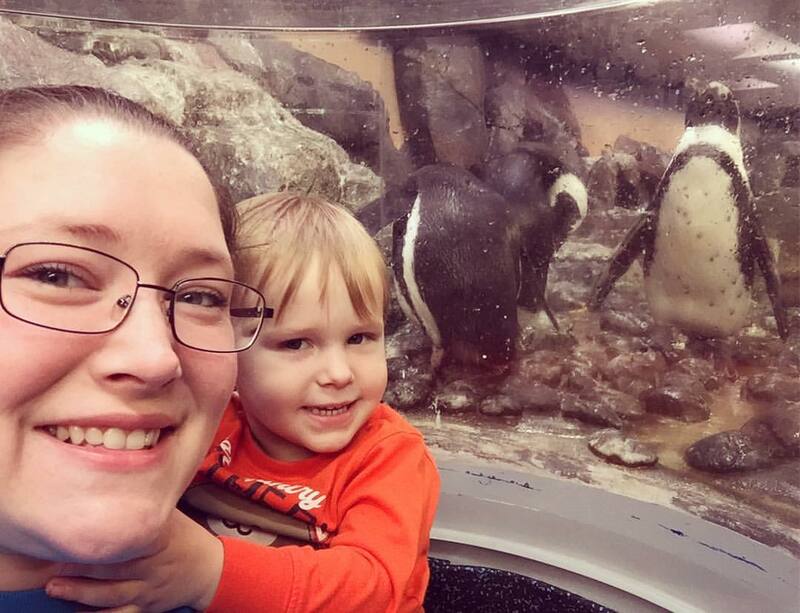 We loved taking selfies with penguins. We also enjoyed watching their 4D movie as well. It is such an awesome experience. As far as price goes, you can get in free on your birthday and sometimes they have Groupons available. In all, I think the price was well worth the experience. And follow me on SnapChat @mrsdchastain for more adventures! 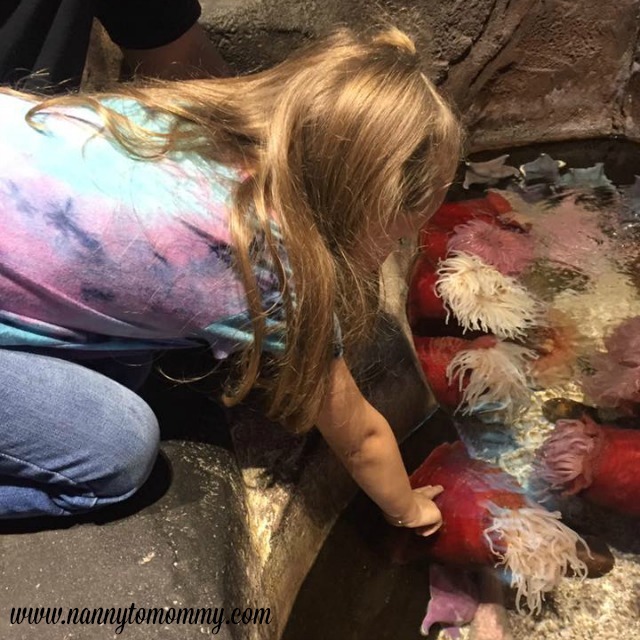 Have you ever been to the Georgia Aquarium? What was your experience? Looks like so much fun!! My son and I love anything and everything ocean and water related, I bet he would LOVE it!! Looks like the kids had a blast! Our daughter would love the penguins and touch and feel area! Very cool! The Penguins are a favorite for my kids and the touch pool is pretty awesome. Our local zoo and aquarium is pretty awesome though the aquarium part is much smaller than what I see georgia offers.